(Source: Superyacht Design) UK, Southampton. 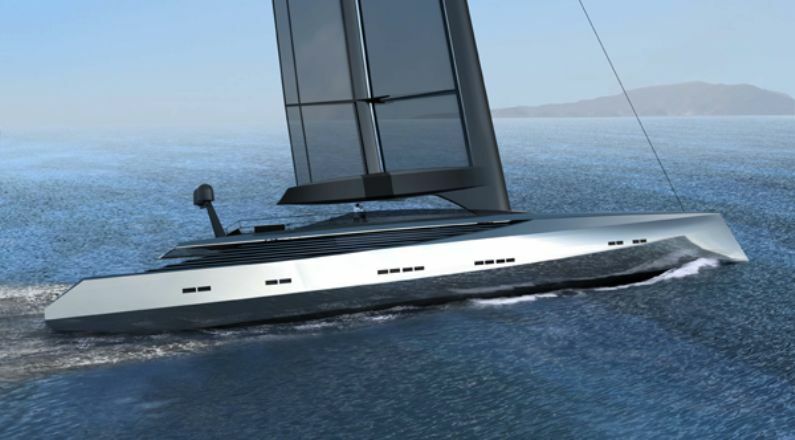 Tony Castro Design, the studio behind the 52m Explorer and 40m Ecomar concepts, has created a 50m sailing yacht called WingSail. 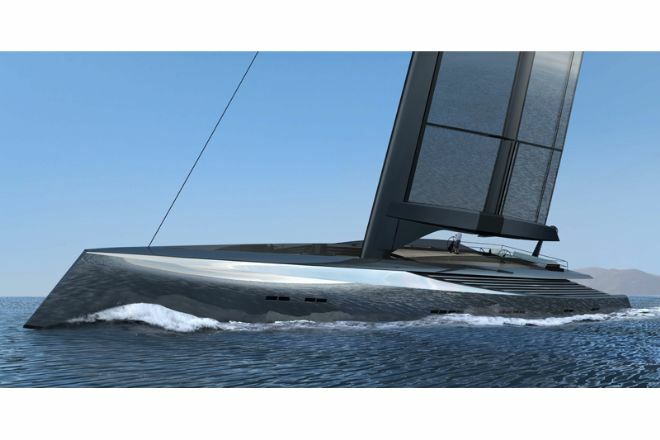 The project, which features a hull based on a previous design, is at the early stages of development with a focus on the technology and design behind the operation of the sail. 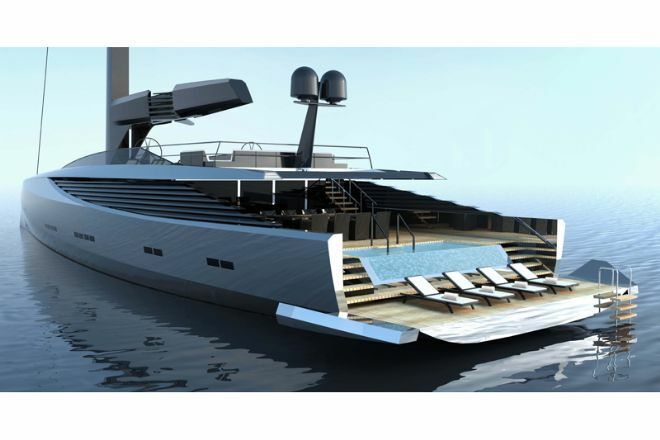 Although there are few details on the design at this stage, Castro was able to reveal that the concept features fold down platforms aft of the yacht to allow guests to get close to the sea when at anchor. The inclusion of a spa pool and an exterior seating area for al fresco dining has also been included towards the aft. We hope to bring you more news on this project as it develops.